New Series! Thrilled to announce that my new series set in the Yorkshire Dales will be hitting bookshelves in just over a year. Written under the name of Julia Chapman, they will be published by Pan Macmillan in the UK and Thomas Dunne books in the USA. Watch this space for more details! The Final Chronicle! Out now, the last chapter of the Fogas Chronicles, Last Chance in the Pyrenees, featuring all your Fogas favourites. Available from all book retailers. Keep up to date with all Fogas news and Fogas giveaways on my Facebook page! Encore une fois! 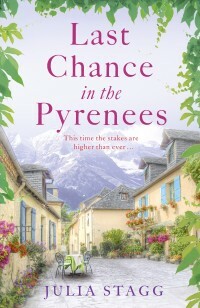 When tragedy strikes the small mountain village of Fogas in the French Pyrenees, the residents must once more rally round to protect their precious way of life. A struggle for the town hall sees political ambition rise to ever more dangerous - even life-threatening - levels, crucial relationships are tested and a deadly plot for revenge and retribution has terrible consequences . . . But among the grief and drama come love, laughs and new beginnings. In good times and bad, the value our villagers place on community and friendship has never been greater. Fifth and final instalment of the Fogas Chronicles - this time the stakes are higher than ever! L'Auberge and The Parisian's Return have got gorgeous new covers. Now it will be even harder to resist the lure of the Fogas Chronicles - so don't fight it. Buy a copy of L'Auberge today and begin your Fogas journey. You won't regret it! Joyeux Noël! It's six days before Christmas, and preparations are well underway in Fogas for a Yuletide wedding. But the happy couple's best-laid plans are scuppered, however, when the caterers and the venue both call to cancel. And on top of that, the groom wants to know what love is . . . He has last-minute jitters which everyone, bar the bride, is well aware of. 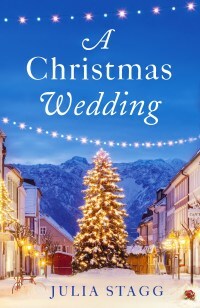 With only days to go, the community must pull together if the festive nuptials are to go ahead. It's all set to be a Christmas they'll never forget . . .